Promotional luminous wrist bands are ideal promotions wristbands, conference wrist bands of for events. 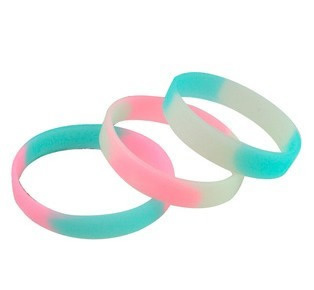 These wristbands change colour when exposed to UV light. [Imprint size] 1/2" x 2"